How do I say Kaitum? The Kaitum 2 GT is a remarkable, two door/two vestibule tent offering maximum usable space, outstanding comfort, and excellent strength in a lightweight package. Backpackers, paddle tourers and cyclists will appreciate the Kaitum’s roominess, light weight, and small packed size. Hunters, winter campers, ski tourers, and climbers will favor its all-season strength and impressive space to weight ratio, and taller users of all types will find the Kaitum models a roomy pleasure. The four-person Kaitum 4 and Kaitum 4 GT are both perfect for backpacking families, couples who camp with their dogs, or anyone looking for a roomy but remarkably lightweight 4-person tent. “Kaitum” is named after a beautiful lake and river in northern Sweden. 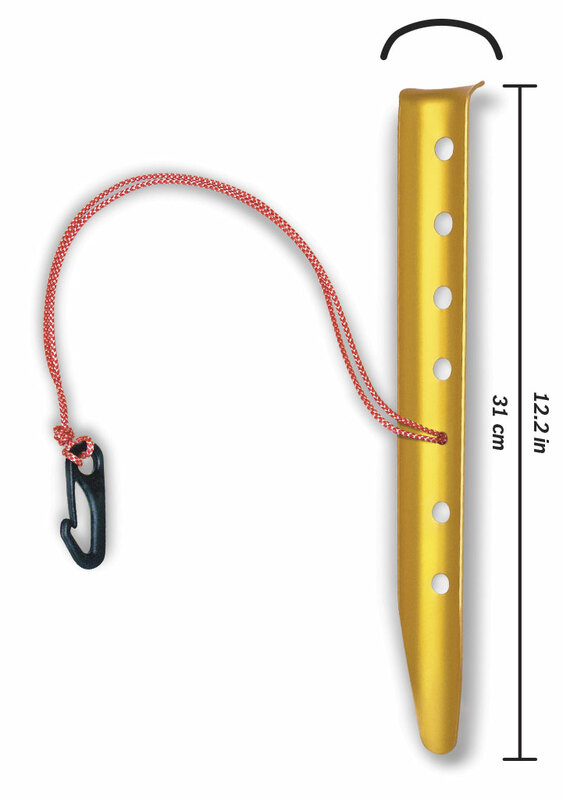 We introduced the original, two-person Kaitum in 2006. Our goal was to create an all-around, all-season tunnel tent that would offer a high level of comfort, and would suit a broad array of users. Two concepts drove the Kaitum's development. 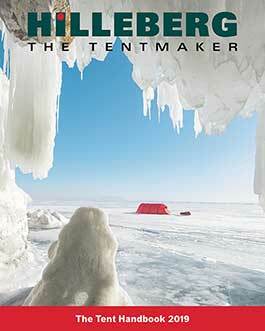 "We wanted a lighter weight, two entrance, two vestibule tunnel tent," recalls Bo Hilleberg. "The Kaitum was developed for those who want the comfort and flexibility of the two entrance, two vestibule design, but don't necessarily need the extra strength of our Black Label Keron models." In addition, the popularity of the Nallo 2 and 3 GT had created a demand for a similar roomy, lightweight tent, but with two vestibules. 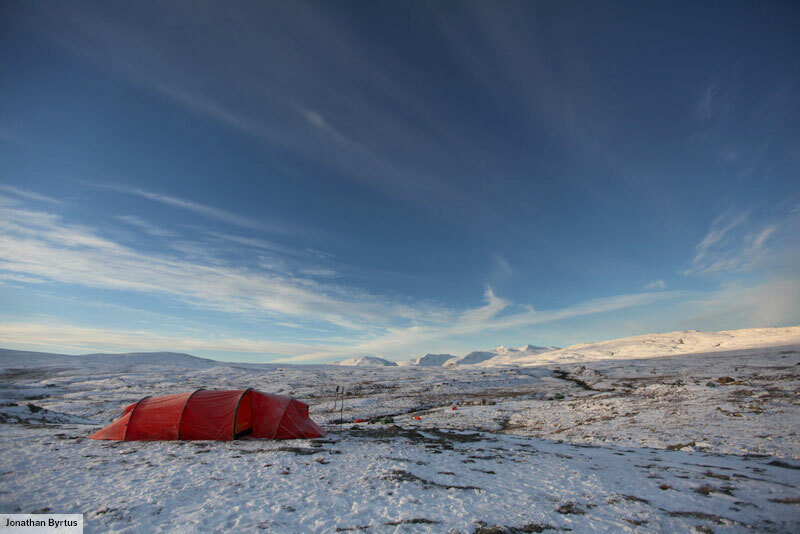 We used the same 9 mm poles and Kerlon 1200 outer tent fabric found in the Nallo models, since these and the other Red Label tents prioritize lighter weight over absolute strength. And, as we did with the Nallo, we used different length poles. 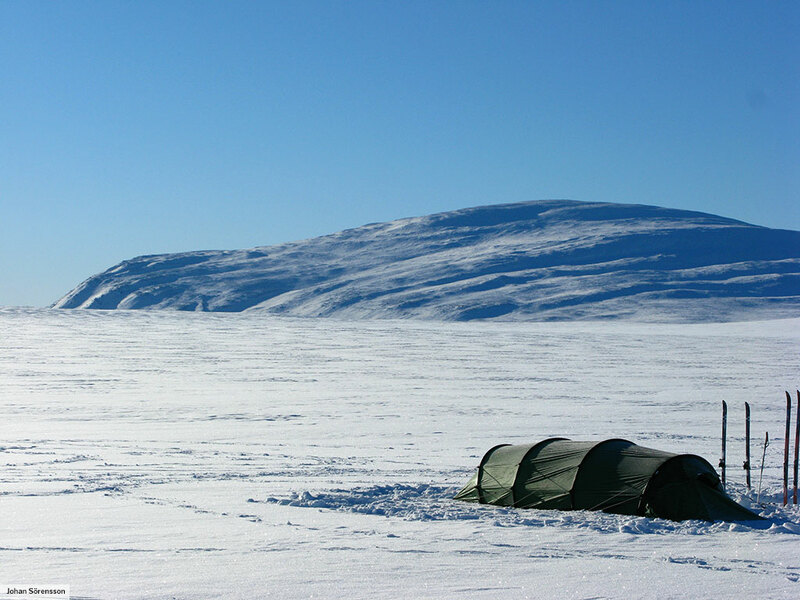 While this certainly saves some weight, we found that different sized poles create a structure that's more suited to the thinner, lighter Kerlon 1200 outer tent fabric. 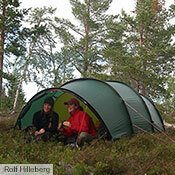 With the Kaitum, there's an added benefit: because of the different length poles, it is wider and a bit taller in the middle of the tent, and so feels bigger, as one of our staff discovered during the original Kaitum's development "We were out on a ski tour in Jämtland, Sweden, and two of us were sleeping in the prototype of the original two-person Kaitum," he recalls "In the morning, the other two on the trip gathered in the tent with us - one in the inner tent and one sitting in the vestibule. 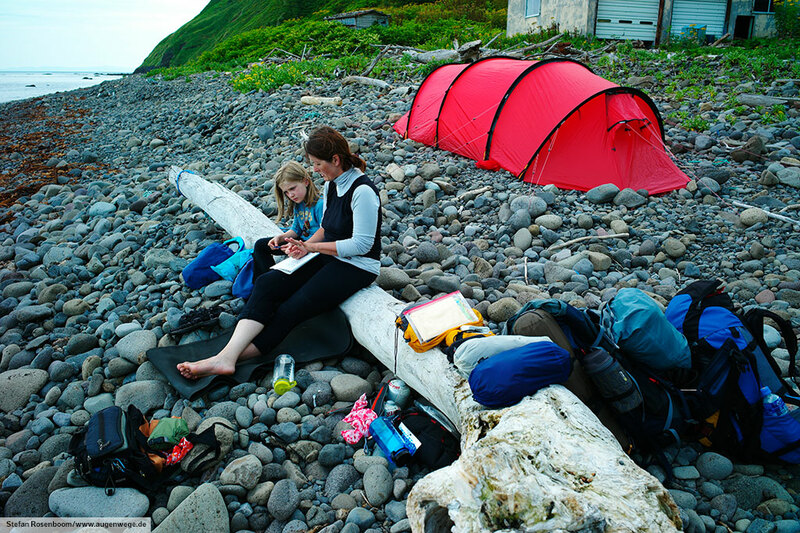 There was so much room, I was quite sure the tent was a three-person model!" The Kaitum was an immediate success. In 2006 and 2007, it won back to back Gear of the Year awards from Outdoor, Germany's largest outdoor magazine, and it took home the same magazine's Editor's Choice award in 2006. "The Kaitum concept offered an outstanding space to weight ratio and was very popular, especially with backpackers," says Bo, "so we added other sizes." We introduced the three-person Kaitum 3 in 2008, and followed that in 2009 with extended vestibule, GT versions of both the Kaitum 2 and 3. In 2017 we completed the family with the introduction of the Kaitum 4 and Kaitum 4 GT. And while the Kaitum models were conceived, at least in part, as a Red Label "version" of the Keron, and thus not meant for the most demanding adventures - polar expeditions, desert tours and the like - they are ideal for avid users who go out year 'round, in all types of terrain. "For both exposed, over the tree line terrain and for forested areas," says Bo. "the Kaitum models are great choices. 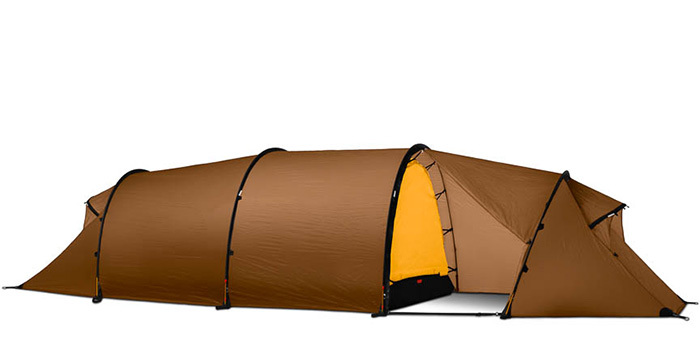 They have a good amount of strength, plenty of all-season weather protection, and, because of their two vestibule construction, they offer better ventilation than the Nallo GTs, but at a similar weight." 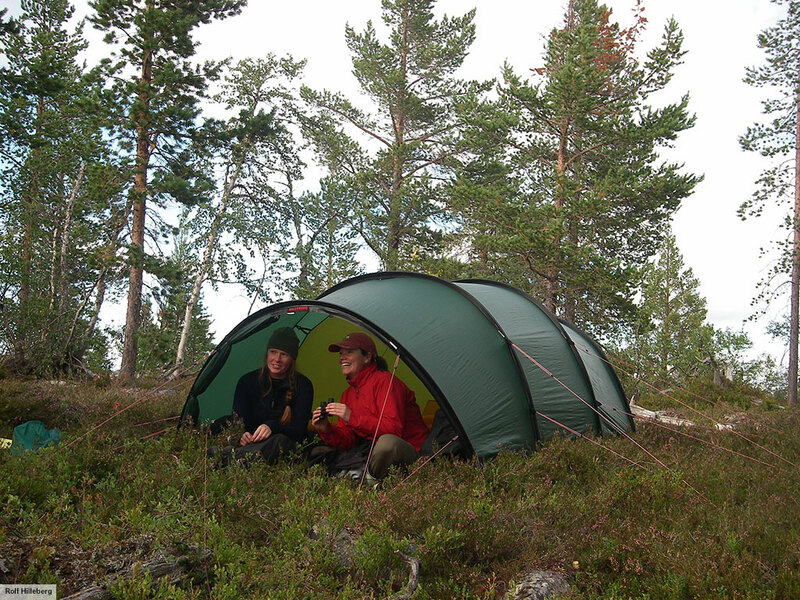 Little wonder, then, that when Bo and Renate Hilleberg go out into the mountains, they very often use a Kaitum 3. "It's not too heavy, and it is very comfortable in any season," says Bo. 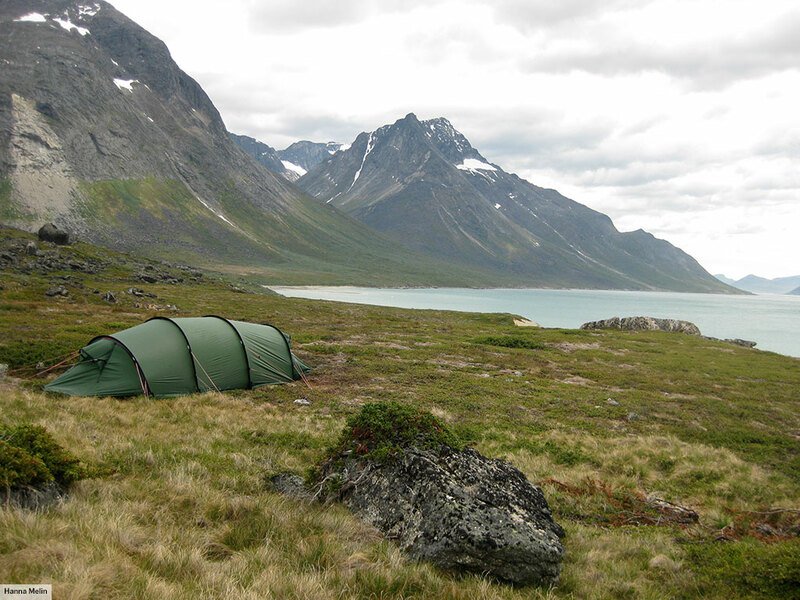 "With both vestibules rolled away, it has amazing ventilation for warm weather, and in the winter - or when a sudden summer snowstorm hits, as it often does in the Swedish mountains - then there is no problem!" Plenty of room for two occupants and their gear. Extended vestibule on one end provides impressive storage space and greater flexibility. Dual entrances on extended vestibule allow greater access. Adjustable vents on each vestibule can be closed with snow-proof panels. Accessible from inside or outside of the tent. Click on the links above for more information about the Kaitum GT. 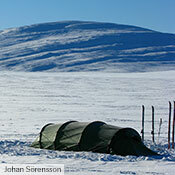 The Kaitum was named Best in Test by Norway’s Fjell og Vidde magazine in their test of lightweight tents. 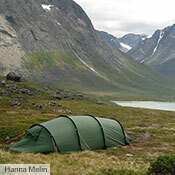 In a test of 17 tunnel and dome tents, Norway’s Villmarksliv named the Kaitum 2 GT Best All Around Tent. 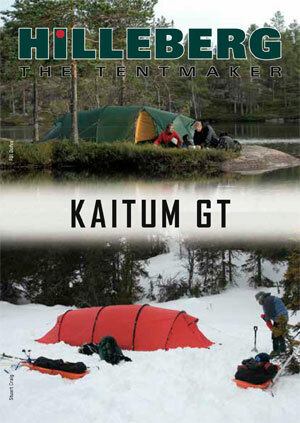 Both the Kaitum and the Kaitum GT have won prestigious Gear of the Year awards from Germany’s Outdoor magazine: the Kaitum in 2006 & 2007, and the Kaitum GT in 2009. In its first year of production, the Kaitum received the Editor’s Choice Award from Germany’s top outdoor magazine Outdoor. 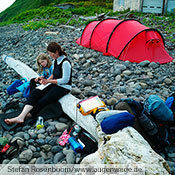 The Kaitum won Product of the Year in the tent category from Ute Magasinet, Sweden’s premier outdoor magazine. 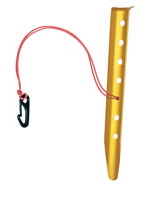 Extra pole holders are needed when you want to pitch the inner tent by itself. 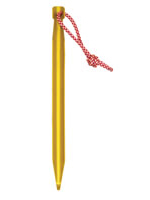 Link these to the corners of the inner, and place the ends of the poles into them. 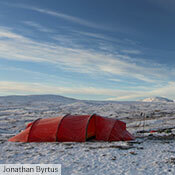 6 pole holders, two for each pole, are needed to pitch the Kaitum 2 GT inner tent on its own. Standard bags are included with the Kaitum 2 GT.